The school moved into a newly refurbished building in 2012, which allows for a comfortable experience and a professional environment, ideal for learning languages. The school is modern and boasts facilities of very high standards. Students can enjoy the use of a lobby, leisure and welfare areas. 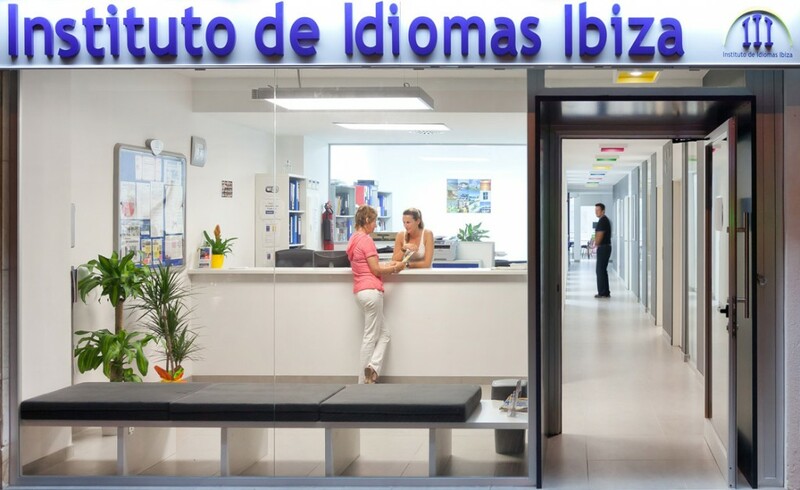 The perfectly central location of Instituto de Idiomas Ibiza allows our students to experience the Mediterranean life in Ibiza firsthand. The beautiful and colourful port area is just around the corner, as well as the shopping mile and many stylish cafés. You will also find authentic Spanish bars and many restaurants providing everything the Spanish cuisine has to offer. From the typical Spanish breakfast – café con leche with a sweet pastry, or the great toast with tomato and olive oil – to Tapas, paella, fish or grilled meat dishes for lunch and dinner. – Free Wi-Fi available throughout the whole school. Click on the picture for a walk through the school!